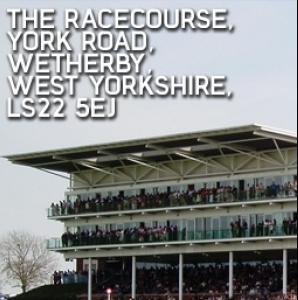 The ICT for Education national conference programme reaches Leeds on 06 March 2015 at Wetherby Racecourse. At a time when digital technology is becoming part of our everyday lives, how can we consider its effective integration into learning and teaching activities? Simon will introduce a conversational framework to support technology implementation and discuss how it is being used to support staff in the effective use of mobile devices for learning and teaching. Alison and Sarah will share Robin Hood's journey towards integrating electronic observations and assessments across the curriculum. The new Computing curriculum is much more than a rebranding exercise for ICT. Roger, a founder member of Computing at School (CAS), will outline why the curriculum has changed, how computational thinking can frame approaches to teaching, and what challenges schools face managing the change. Chris (@gr8ict on twitter) works as head of ICT at Lady Lumley's School. He and his colleagues are implementing a new KS3 computing curriculum and grappling with introducing Computer Science next year. As you might expect, digital leaders are an integral part of this strategy. Chris has supported digital leaders for more than four years with Lady Lumley's School digital leaders speaking at Microsoft, the first Teach-the-Teachers Teachmeet, BETT 2013, BETT 2014 and BETT 2015. Chris has also helped develop the National Digital Leaders' Network Blog and is a regular on twitter as @gr8ict and as part of #dlchat on Thursday evenings. He has worked in partnership with Makewaves, DigitalMe and @curricinnov to develop the free-to-join Digital Leaders Network, www.makewav.es/digitalleaders, and the earning and awarding of digital leader badges using the DLOpenBadge Framework. A four year diary and comprehensive digital leaders roadmap is available at www.gr8ict.com. Please join in #dlchat on twitter at 9.00-9.30 on Thursday evenings. Roger is director of IT at Queen Elizabeth School, Kirkby Lonsdale in Cumbria. He has taught computing and ICT for 25 years and developed the strategic IT provision in three schools during this time. Roger is also editor of SwitchedON, the Computing at School (CAS) termly magazine. Sarah is an experienced Foundation Stage teacher, leading History and Geography in school. Simon is a "flipped academic" (Bruton 2012). He is Head of E-Learning at Leeds Beckett University, an academic post working in the Centre for Learning & Teaching. His current work includes the development of a conversational framework for technology use, with a focus on it’s ability to enable, enhance, enrich and empower learning & teaching. He has led on a number of funded Learning & Teaching projects including a JISC/HEA funded Open Education project and a Leadership Foundation supported 1to1 tablet device implementation, examining the effects such deployment has on learning & teaching and learners and teachers. He has presented and published his work at a number of national and international conferences, predominantly in the areas of learning technology and open education. Simon was recently awarded an HEA National Teaching Fellow and is a Senior Fellow of the Higher Education Academy, SEDA accredited in Embedding Learning Technologies and an Apple Distinguished Educator.